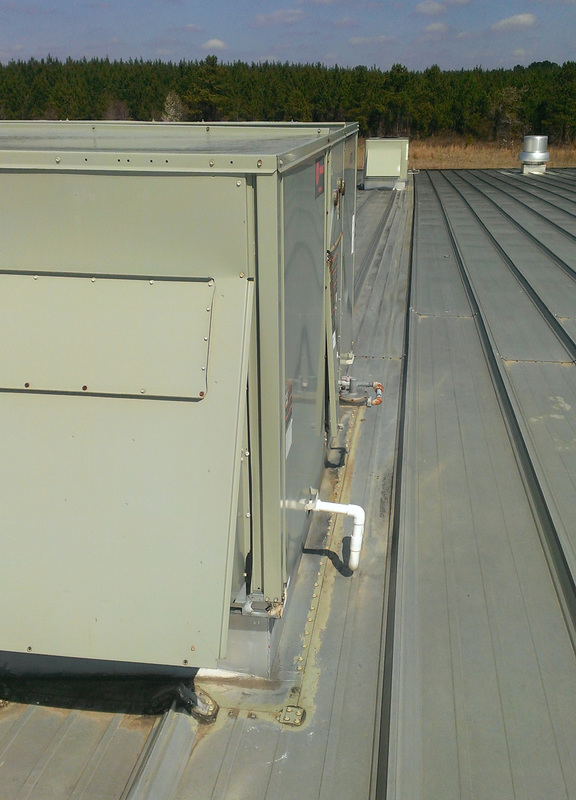 When it comes to industrial buildings, you probably already know that AC units are a prime candidate for leaks. It only makes sense – there’s more lineal footage of fragile joints at those locations, the AC units are often slightly vibrating said joints (causing small fractures in or pulling away any waterproofing membrane), and sometimes the AC units themselves drip their own water out into the building. 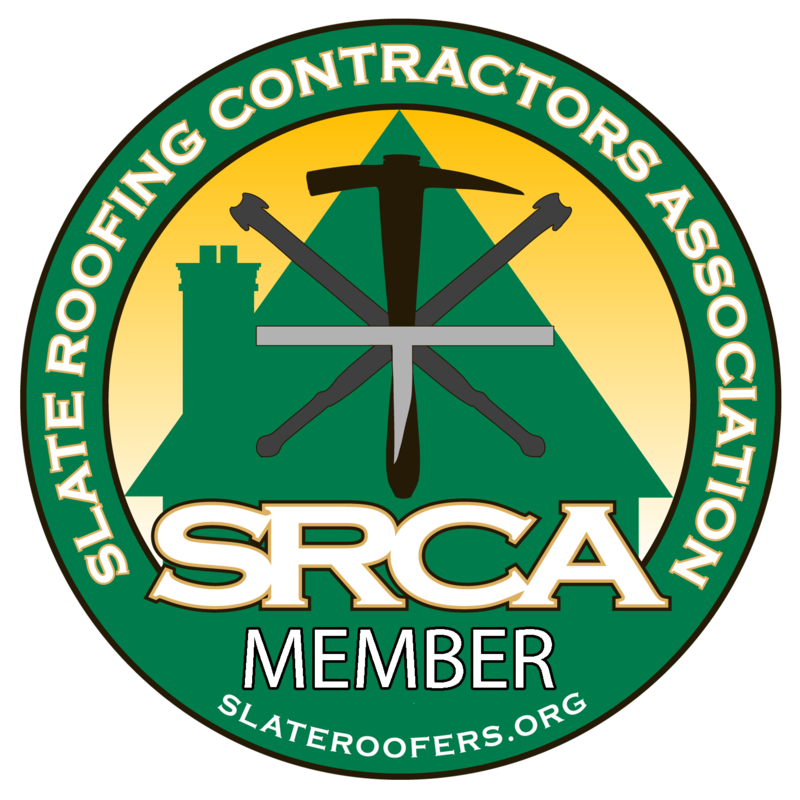 Caldwell’s Roofing got a call from an industrial building owner to see about doing a number of commercial metal roof repairs. Not surprisingly, a lot of the leaks were located near roof-mounted AC units. 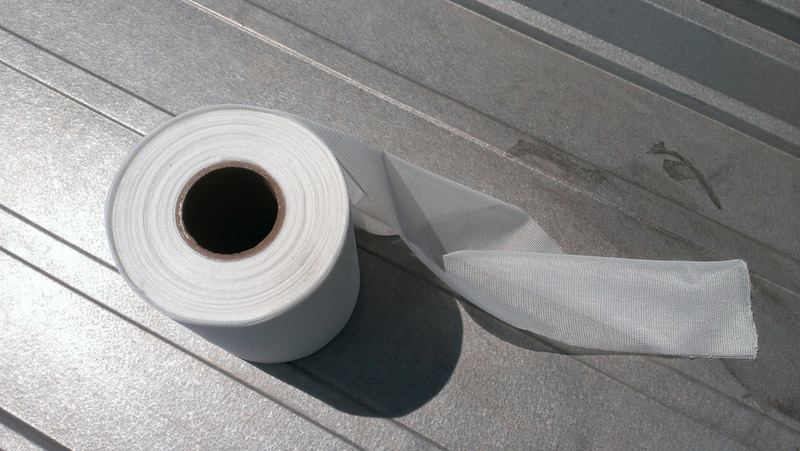 After a bit of research, Caldwell’s Roofing owner Brad Caldwell decided that a Sure Coat repair material (by SureCoat Systems®) would do well. It’s a two-coat application, with an embedded mesh in between the layers. The mesh helps to prevent future cracking of the repair along the AC-to-roof joint where there is frequent vibrations. 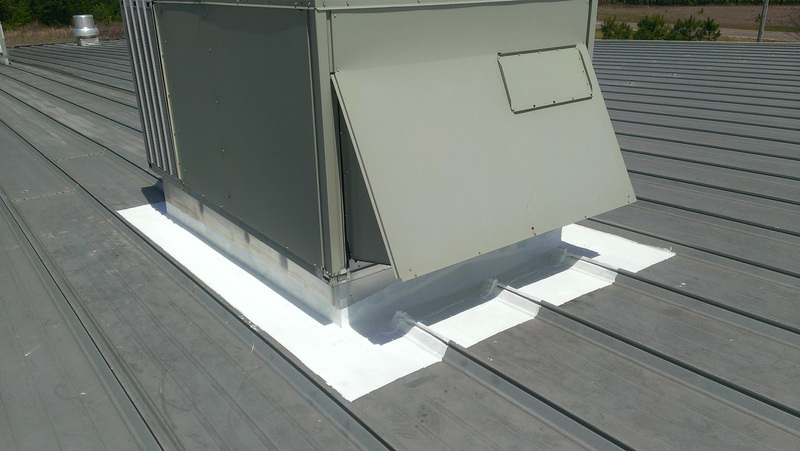 The first thing Caldwell’s Roofing noticed was that there was an AC condensate line emptying right onto the area where the repairs had to be done. 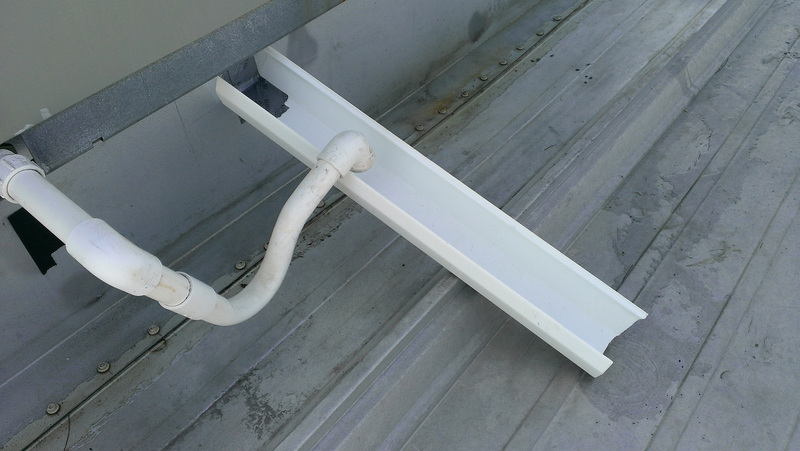 They decided to create a make-shift gutter system to help divert the water away while doing the repairs. 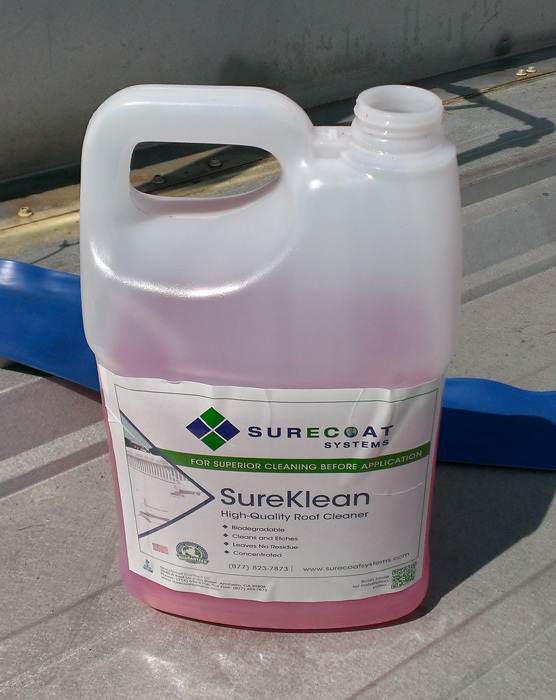 Once the water was diverted away, they opened up some “SureKlean,” a cleaning material by the same company, and wiped down the area to be repaired. This chemical slightly etches the metal to allow for a better bond of the repair material. If you are in need of industrial or commercial metal roof repairs, why not give Caldwell’s Roofing a call for a free estimate? 334.332.7799.